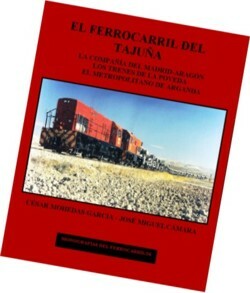 History and description of known "Tajuña Railway" Madrid. The chapters of the book develops chronologically the history of this network and its history to date. The first projects as a tram line in the outskirts of the capital of Spain, the Aragon with a view to extension to the province of Guadalajara and subsequent contraction of the network from Madrid to Alocén due to Entrepeñas dam, and a decrease of traffic in several of its sections, the conversion of railways in cement industry, the current line use as part of Metro de Madrid, and as a greenway in closed sections. Review all material and mobile engine that has circulated throughout the ages. Also visit the CIFVM, an association that has preserved part of the rail and held in a small historic train service.